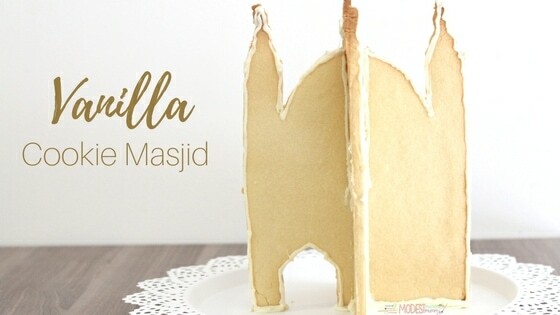 Ever since I created my Chocolate Cookie Masjid I’ve been wanting to create a vanilla version. 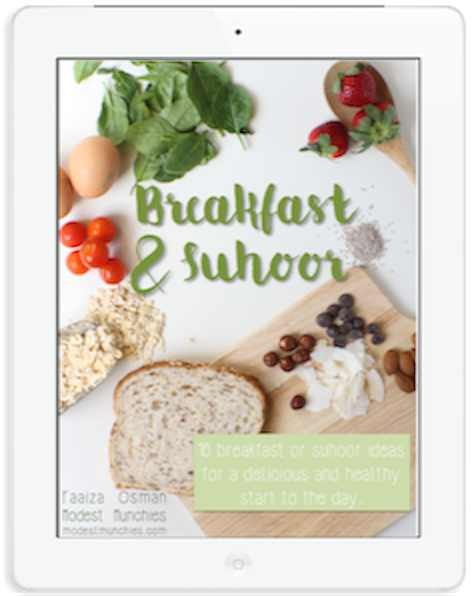 I had decided that when the time came, I would design (or have designed) a new template so that it would be an all new cookie masjid version. 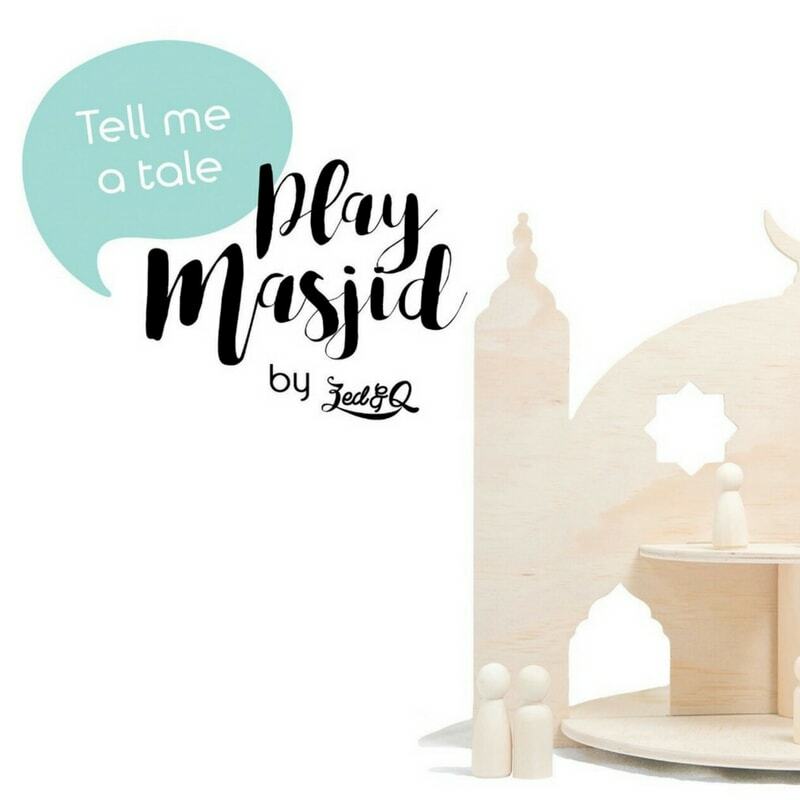 Recently, my friend Zayneb over at zedandq.com launched ‘The Play Masjid’, a wooden play masjid for kids. Zed&Q is a company which creates products aiming to inspire and educate minds through faith. Founders Zayneb and Sidqie have a passion for making learning fun, which brought their idea of The Play Masjid to life. When I saw it, I just knew I wanted to recreate it as a cookie. Zayneb kindly created the cookie template for me. 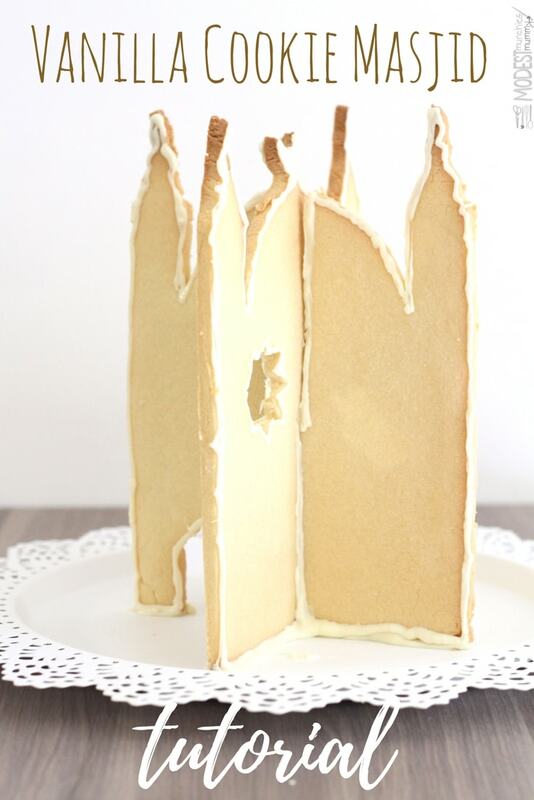 After much recipe testing, creating and design revisions, the Vanilla Cookie Masjid was born. 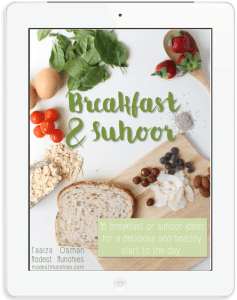 This one is a little trickier than the Chocolate Cookie Masjid, but hopefully, with all my tricks and tips, it should be achievable. If you’d like to try something a little easier, then do give the Chocolate Cookie Masjid a try. *if possible, try to add less than ¼ teaspoon, the less rise on these the better. Make sure you print and cut the cookie template. Place the butter and sugar in the bowl of a mixer and beat until light and fluffy. Add in your egg and vanilla and beat till combined. Combine your flour, baking powder and salt in a bowl. Turn your mixer off and add you flour mixture. Beat slowly at first to incorporate the flour, then higher until it forms a dough. Form your dough into a bowl and place into cling wrap and place in the fridge to chill for 1 hour. Cut out your template and leave it aside. Roll out your dough to 1cm thickness and place the template above. Cut out the dough following the edges of the template. Repeat for both templates. Place in the fridge again to chill for a further 15 minutes. When the oven is heated, place the cookie pieces inside. Remove from the oven and recut the gap in the cookie, make sure that this is wider than 1cm. Place the cookies back in the oven with the door slightly ajar. This will ensure that the cookie does not brown further, but will harden enough to handle. When the oven is cool, remove your cookies. Place enough icing on the bottom of the cookie door piece to attach to your board/plate. Hold this in place while it sets. Place glasses along the walls for extra support. Pipe icing into the gap of the second cookie and slide it onto the first. Do this slowly and carefully. If your cookie cracks, pipe icing into it and reattach the pieces. Pipe icing onto the cookie pieces where they meet each other and the plate. Clean up any icing drips and edges. When ready to eat, break pieces off and enjoy! -To ensure you have enough space in the cutouts to fit the pieces together, make sure you recut them as soon as you remove from the oven. The pieces will cut easily if they are still hot. -If your cookie cracks or breaks, don't be concerned, stick it back together with some extra icing. Wait for it to set before working with it. -Make sure you place the cookies together carefully, sliding one down over the other slowly.